The Large London Plaster Coving is a popular plaster cornice in is very well suited to any period home. This coving originates from london, were it was copied from a London restoration job on a Georgian property and has become very popular all over the UK. 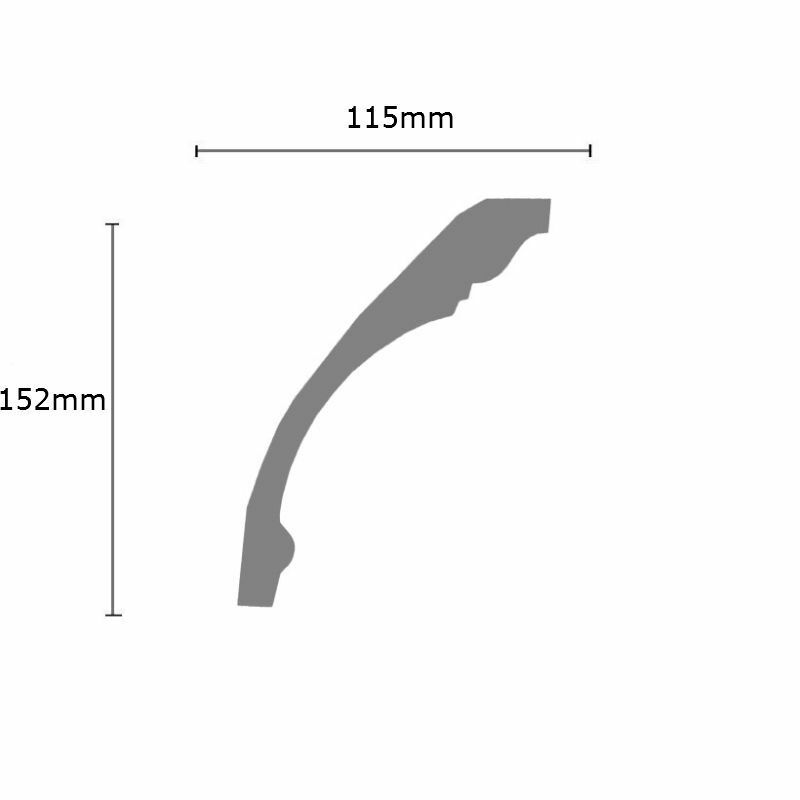 This coving has a projection of 115mm (4 1/2 inches) and a drop of 152mm (6 inches).